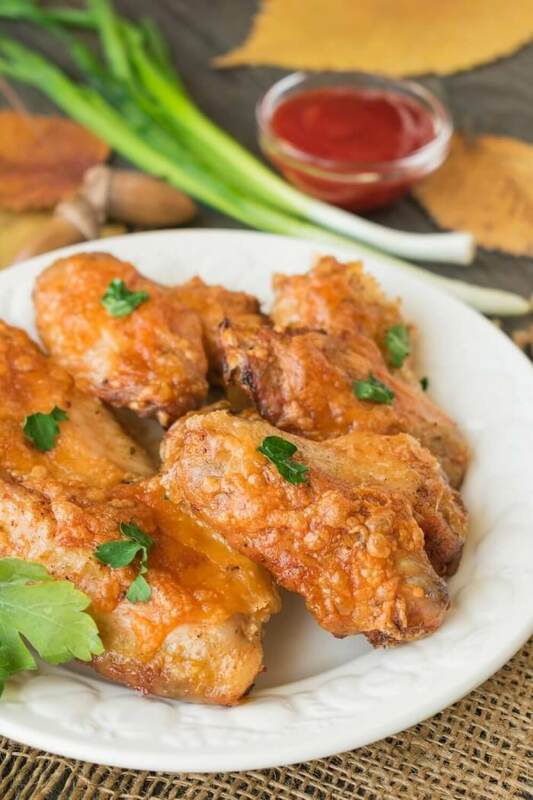 Chicken wings for this simple and quick recipe are especially delicious and fragrant. 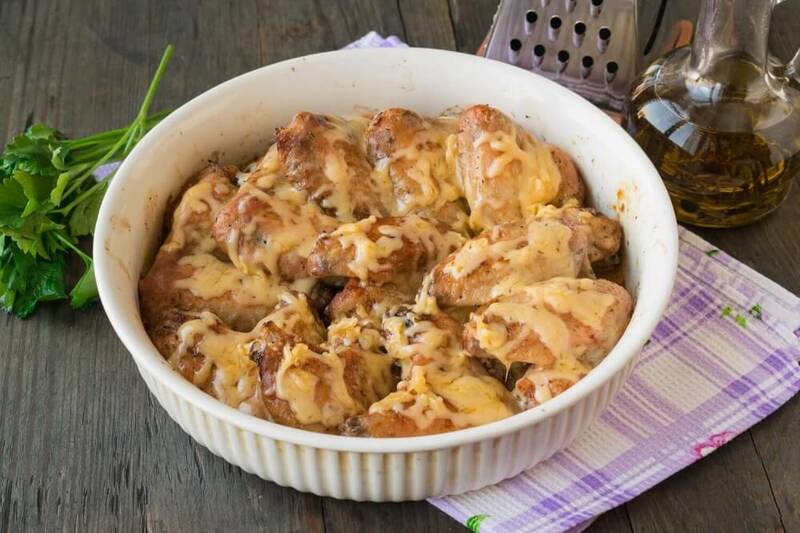 Grated cheese forms a crispy ruddy crust on the meat and gives the chicken a special piquant note. For a recipe, any type of cheese that melts well while heating, for example parmesan or cheddar, is suitable. 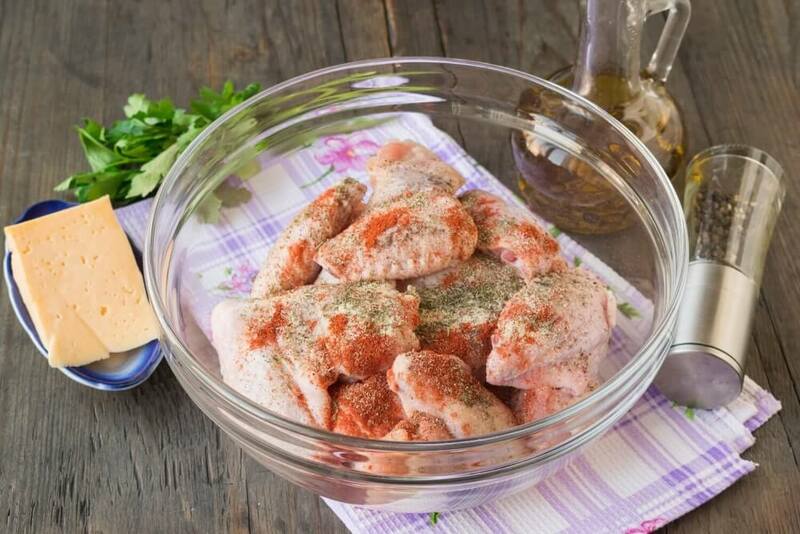 For marinating chicken wings, you can use a ready-made mixture of seasonings for chicken or your favorite spices. 1. Wash and dry chicken wings from excess water with paper napkins. Cut off the third phalanx from the wings, we will not need it. Shift the chicken wings into deep dishes. Salt meat and season it with ground spices. 2. Thoroughly mix the ingredients so that the meat is completely covered with salt and spices. 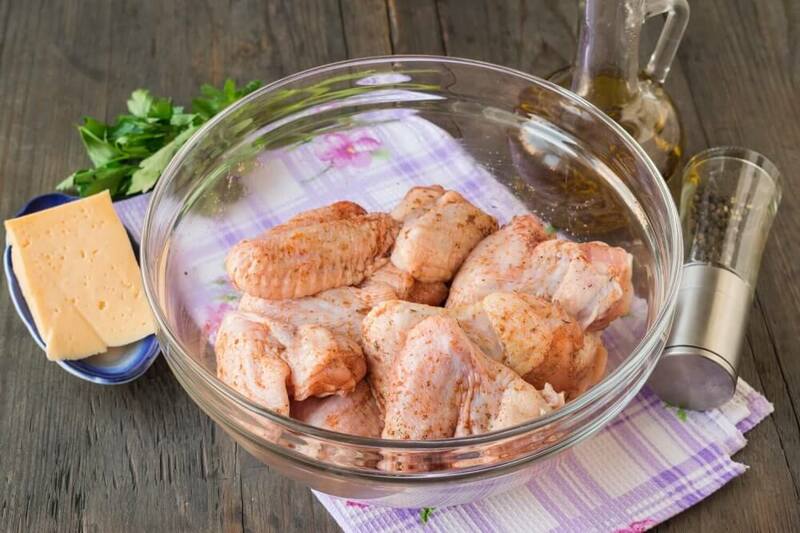 Covering the bowl with food film, put the chicken wings into the fridge for 1-2 hours, so that they become marinated and soaked with the aromas of spices. 3. Then place the chicken wings into a heat resistant baking dish. Sprinkle the meat with olive oil from above, so that the chicken wings turn out to be ruddy. 4. Put the mold with chicken into the oven heated to 200 degrees. 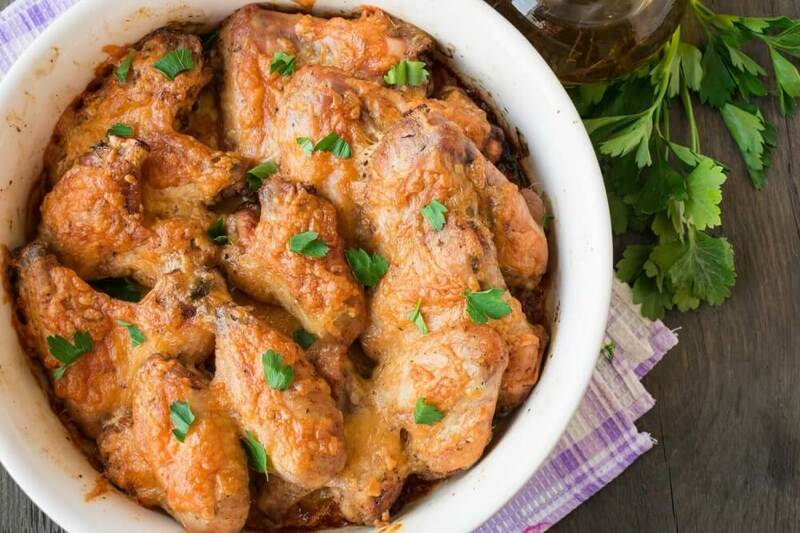 Bake the wings at an average level of 25-30 minutes. Check the readiness by sticking the knife blade into the meat. If a clear juice flows from the meat, it is ready. Carefully get the mold out of the oven. 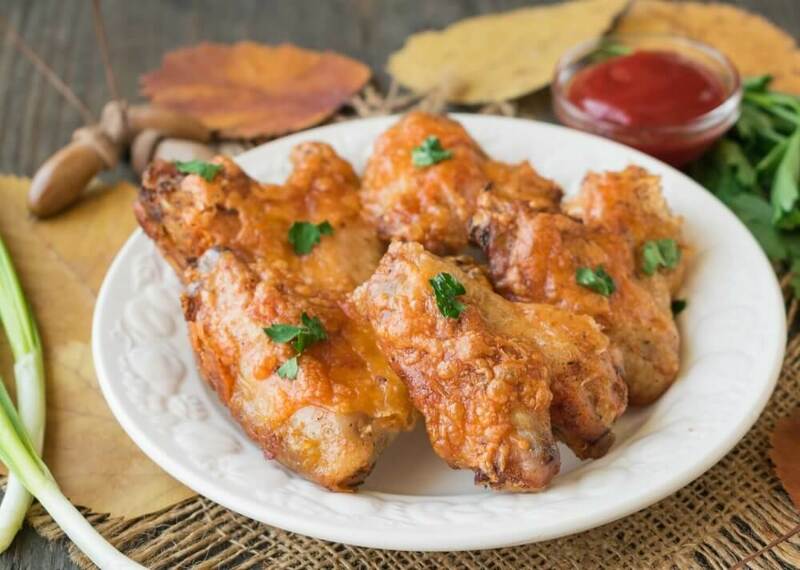 At the top of the chicken wings, distribute the grated hard cheese evenly. 5. Put the form into the oven for another 5 minutes, so that the cheese melts and turns brown. Take the prepared dish from the oven, decorate with fresh parsley and serve hot. 6. 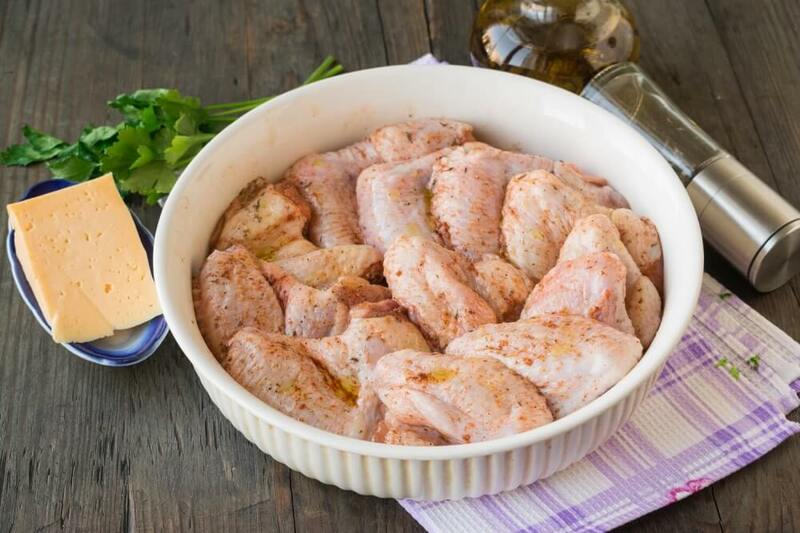 Chicken wings can be supplemented with mustard, garlic or tomato sauce. Meat, baked according to this recipe, is well combined with puree, crumbly rice or salad from fresh vegetables.